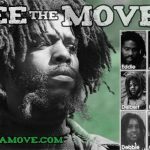 Members of MOVE follow the teachings of MOVE’s founder, John Africa, a native of the Mantua neighborhood of West Philadelphia. Born Vincent Leapheart, he adopted the name John Africa after returning from service in the Korean War and becoming disillusioned with American society. Africa, with the help of Donald Glassey of the University of Pennsylvania, wrote the three-hundred-page document now known as The Teachings of John Africa, the foundational document of MOVE. Africa’s manifesto promoted a return to nature and a raw diet, rejection of drugs and alcohol, and a simple life free of luxuries. MOVE members lived communally in the lifestyle he outlined and adopt the surname Africa, as John Africa taught that the African continent was where life originated. 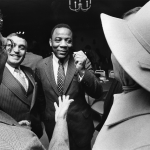 In 1981, despite having little formal education, Africa chose to represent himself in court on charges related to the 1978 Powelton Village confrontation that left an officer dead and nine MOVE members in prison. He was acquitted on all charges. This photograph shows him leaving the federal courthouse on the day the verdict was delivered. After the trial, Africa retreated from the public eye and focused on expanding his philosophy and teaching his followers. 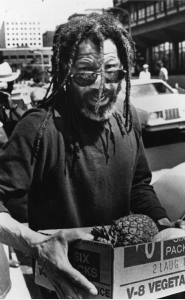 He was one of the eleven people killed in the fiery1985 standoff at their Cobbs Creek home. 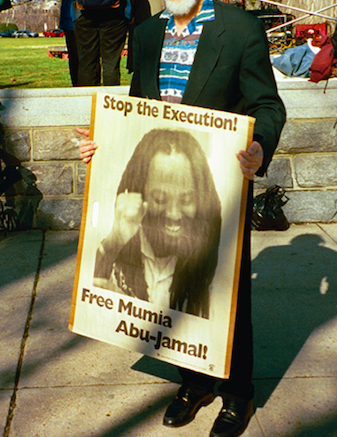 Journalist Mumia Abu-Jamal helped bring exposure to the 1979-80 MOVE Nine trial. 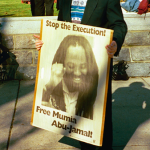 Abu-Jamal was born Wesley Cook in Philadelphia and took the name “Mumia,” which means “Prince,” as a teenager. His political activism began early, when he was arrested in 1968 for protesting a support rally for segregationist presidential candidate George Wallace. Once released, he helped form the Philadelphia chapter of the Black Panthers Party. In the 1970s, he began a career in radio broadcasting and journalism, working for Temple University’s WRTI radio station and local affiliates of National Public Radio. His broadcasts were highly critical of the Philadelphia police department. Abu-Jamal was sentenced to death for the 1981 shooting of Philadelphia Police Officer Daniel Faulkner shortly after the MOVE Nine trial. His imprisonment has become an international cause célèbre in some social justice circles. He continued to write and broadcast from prison. 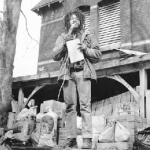 Delbert Africa became MOVE’s primary spokesman after founder John Africa began secluding himself from the public. He is shown here in 1978 at the group’s Powelton Village home with a pile of supplies donated by sympathetic community members during the blockade of the home by Philadelphia police. According to her autobiographical page on the MOVE website, Merle Africa, a native of Philadelphia, had a tumultuous childhood. She developed drug and alcohol addictions at a young age. She joined MOVE in 1973 after meeting other members of the organization. She cited this as the turning point in her life and credited MOVE founder John Africa with leading her to health. Merle was one of the nine members convicted in the 1978 shooting of Philadelphia police officer James J. Ramp. She died while serving her sentence in a Muncy, Pennsylvania, prison in 1998 after a brief illness. Questions were raised by the surviving members of MOVE and their supporters about the cause of her death. W. Wilson Goode was the first African American mayor of Philadelphia. 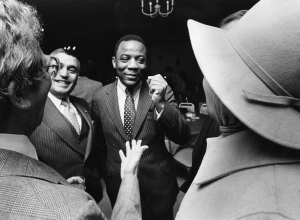 He was vilified by many after the 1985 bombing of MOVE’s Cobbs Creek headquarters, which killed eleven people including John Africa and left more than 250 residents of the burned-down neighborhood homeless. 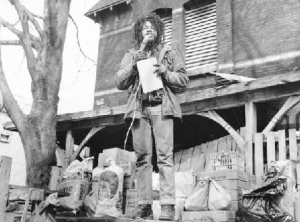 In 1981, MOVE relocated to a home on the 6200 block of Osage Avenue in the Cobbs Creek neighborhood of West Philadelphia. City officials made the infamous decision to bomb the home, leading to the destruction of over sixty homes and the deaths of eleven people. Nine members of MOVE were convicted on third-degree-murder charges in the 1978 shooting death of Philadelphia police officer James J. Ramp. Ramp was one of the officers involved in a confrontation at the group’s communal home at 307-309 N. Thirty-Third Street and was fatally shot in the back of neck. Philadelphia police contended that MOVE members were responsible for the shooting, but MOVE and their supporters argued that Ramp was entering the house when he was shot and the fatal bullet could not have come from inside the home. The convicted MOVE members were each sentenced to 30-100 years in prison. 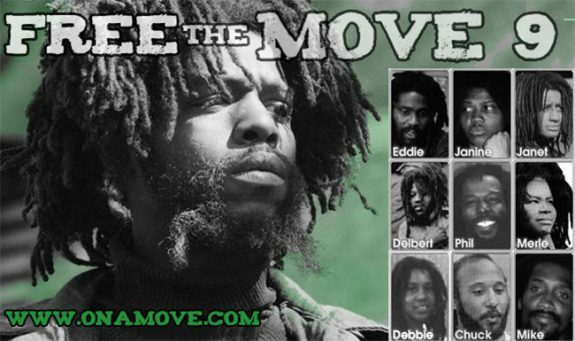 Supporters of MOVE waged numerous campaigns urging that the MOVE Nine be released. In addition to the questions about Ramp’s death, supporters cite unequal treatment of those arrested. Suspects who were determined not to be “committed members” of MOVE were released or convicted on lesser charges while the MOVE Nine were sentenced “as a family,” in the words of presiding Judge Edward Malmed. Merle Africa died in 1998 and Phil Africa in 2015 while still serving their sentences. The remaining seven—Debbie, Chuck, Mike, Delbert, Janet, Janine, and Eddie—remained in prison in 2017, having repeatedly been denied parole. MOVE emerged in the early 1970s as the American Christian Movement for Life or the Christian Life Movement. 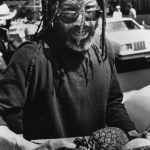 Vincent Leaphart (1931-85), who later took the name John Africa, founded the group and wrote the foundational document initially known as The Book of Guidelines, The Book, or The Guidelines and eventually called The Teaching of John Africa. Because Leaphart was functionally illiterate, he turned to Donald Glassey (b. c.1946), a social worker from the University of Pennsylvania, to help him write and edit the document, which included roughly three hundred pages. This manifesto espoused the importance of self-reliance and a nature-based lifestyle that included scavenging, composting, eating raw foods, and exercise. Ultimately it called for a return to nature even for those who lived in the city. Since the founding of the group in 1972, MOVE members have lived communally primarily in West Philadelphia, with additional properties in Rochester, New York. 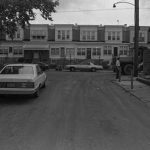 The first major confrontation between MOVE and the police led to a shootout in Powelton Village on August 8, 1978, that left police officer James J. Ramp (1926-78) dead and nine MOVE members in jail for life. The incident began when police arrived to execute a court order requiring the group to vacate a compound they had created at 307-309 N. Thirty-Third Street after repeated complains from neighbors concerning the number of animals being kept on the property, reports of filthy conditions, frequent use of a bullhorn to transmit lectures based on John Africa’s teachings, weapons code violations, the presence of children in reportedly filthy conditions, and MOVE’s refusal to pay gas and water bills. Shooting erupted, and Ramp was hit in the back of the neck. MOVE was blamed for his death, but accounts of MOVE members stated that Ramp was facing the home at the time of the shooting, leading to questions of whether the bullet could have actually come from a MOVE weapon. Five firefighters, seven police officers, three MOVE members, and three bystanders were also injured during the standoff. The arrested members, since known as the MOVE Nine, were sentenced and convicted of third-degree murder in Ramp’s death. They became eligible for parole in 2008, but all were denied then and in subsequent hearings. 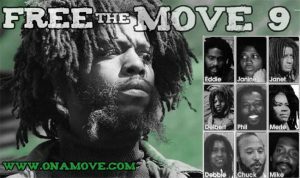 MOVE Nine members included Merle Africa (1951-98), who died in prison in 1998 at the age of 47; Phil Africa (1956-2015), who died in prison in 2015 at the age of 59; and Chuck (b. 1959), Michael, Debbie (b. 1956), Janet (b. 1951), Janine, Delbert, and Eddie Africa (b. c.1947). 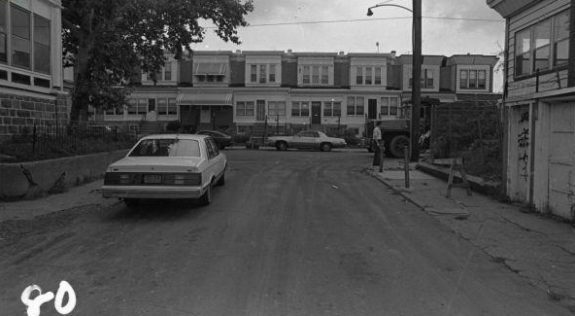 After the confrontation at Powelton, MOVE relocated to 6221 Osage Avenue, in the Cobbs Creek area of West Philadelphia, a predominantly African American and middle- class neighborhood. Determined to force their neighbors to hear their case and join their efforts to free the Move Nine, MOVE members broadcast their message night and day through a bullhorn from their fortified headquarters. They built what was essentially a fortress within the Osage home, adding bunkers inside the house and on the roof. They also kept many animals—from domesticated dogs and cats to wild rats—in the home, leading neighbors to complain of filth and health risks to both the MOVE children and to the neighborhood in general. Observers noted young children who were not enrolled in school. Some neighbors also complained of verbal and physical assaults committed by MOVE members and garbage being piled up around the home. As a result, District Attorney Edward Rendell (b. 1944) issued arrest warrants and Mayor Wilson Goode (b. 1938) sent the police to execute the warrants on Monday, May 13, 1985. As police and city officials had anticipated, MOVE members refused to respond to the officers who arrived or to send the children out of the home. The mayor and Police Commissioner Gregore Sambor (b. 1928) saw this as justification to use military-grade weapons and extreme measures, despite the presence of the children. Announcing over a loud speaker, “Attention MOVE: This is America!” Sambor began the attack by sending in a team to flush the house with fire hoses. When MOVE remained unresponsive, officials blew holes in the walls to fumigate with tear gas. That did not work either, and a shootout ensued. After shooting thousands of rounds into the MOVE compound, police decided to use explosives to knock the bunker off the roof, using a Pennsylvania State Police helicopter to drop high-powered C4 explosives onto the house. The explosives caused a fire, accelerated by the presence of gasoline in the home. Fearing that firefighters could get caught in the crossfire between police and MOVE members, officials let the fire burn and it spread throughout the neighborhood as area television crews filmed the destruction. Danger from crossfire also kept MOVE members pinned inside the home. Some eyewitness reports indicated that when MOVE members finally tried to exit the burning house, police fired on them, but controversy remained over this claim. The conflicting reports, along with the live television coverage of much of the day’s events, led many people in Philadelphia and elsewhere in the United States to question the decision-making process of the mayor and other officials. The bombing of the MOVE compound killed six adults and five children and destroyed more than sixty homes, leaving more than 250 Philadelphians homeless. 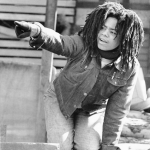 Only 13-year-old Birdie Africa (1971-2013), who later took back his given name of Michael Ward, and Ramona Africa (b. c.1955) survived the confrontation. Those killed included children Katricia Dotson (Tree), Netta, Delitia, Phil, and Tomasa Africa and adults Rhonda, Teresa, Frank, CP, Conrad, and John Africa (1931-85). Mayor Goode quickly appointed a committee to investigate the bombing. The commission’s report, issued on March 6, 1986, concluded that police used “grossly negligent” tactics and committed an “unconscionable” act by “dropping a bomb on an occupied row house.” The commission expressed doubt that police would have acted similarly in a white neighborhood. Although the commission called for grand jury investigations, nobody was prosecuted and in 1987 Goode won reelection. In 2013, Philadelphia Police Commissioner Charles Ramsey (b. 1948) requested a Justice Department review of the city’s use of force, and that review’s conclusions echoed the MOVE Commission Report, finding systemic deficiencies and problems with improperly trained police using military equipment against citizens. Ramona Africa served as her own attorney in a trial that ultimately led to her conviction on riot charges. She served seven years in prison. In 1996 she and relatives of two MOVE members who were killed in the bombing sued the city and won a total of $1.5 million in a civil suit judgment ordered by a federal jury. 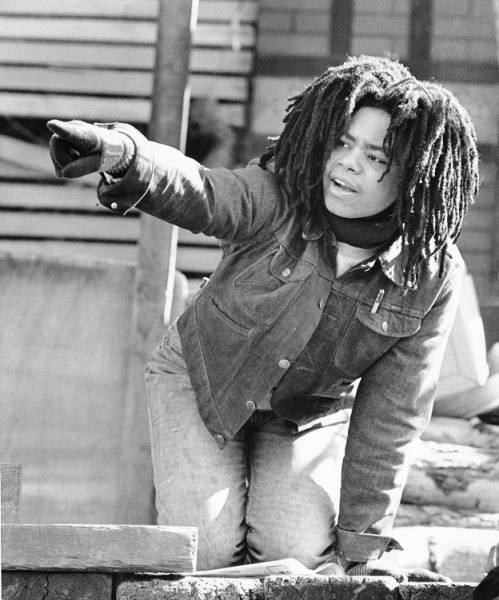 She continued to serve as the spokesperson for MOVE and to advocate for the release of the MOVE Nine and Mumia Abu-Jamal (b. 1954), a black radio journalist who had covered the MOVE Nine trial before his own controversial conviction in the shooting death of a Philadelphia police officer in 1981. Michael Ward was placed in his father’s custody and spent years in therapy to deal with his experiences with MOVE and the bombing. He drowned in a hot tub on a cruise in 2013. The neighborhood surrounding the Osage home never fully recovered from the bombing. A home at 6221, built to replace the MOVE compound, stood vacant in 2016. With four bedrooms, one bathroom, and 2,203 square feet, it was valued at approximately $54,119. Sixty-one homes were rebuilt by developers hired by the city, but they were almost immediately plagued by problems such as leaky roofs, faulty plumbing, saggy floors, inadequate electrical wiring, and peeling siding. The contractors who built the homes were sent to jail for mishandling funds, but some residents felt they had no choice but to accept the hastily and poorly rebuilt substitutes for the homes they lost. In the early 2000s the city finally agreed to buy the homes for $150,000 each, leading to a mass exodus of residents, many of whom had been part of the neighborhood for generations. Those who remained continued to emphasize that theirs is a safe and close-knit community within walking distance of Cobbs Creek Park. In November 2016, thirty-one years after the conflagration, the City of Philadelphia issued a request for proposals to develop three dozen properties that had been vacant since the buyout of 2000. Anderson, John and Hilary Hevenor, Burning Down the House: MOVE and the Tragedy of Philadelphia. New York: W.W. Norton & Co., 1987. Boyette, Michael and Randi Boyette. Let it Burn! Chicago: Contemporary Press, 1989. Harry, Margot, Attention Move! This is America. Chicago: Banner Press, 1987. Jenkins, Brian. “MOVE Siege Returns to Haunt City.” CNN, April 2, 1996. Wagner-Pacifici, Robin. Discourse and Destruction: The City of Philadelphia versus MOVE. Chicago: University of Chicago Press, 1994. Yuhas, Alan. “Philadelphia’s Osage Avenue police bombing, 30 years on: ‘This story is a parable.’” The Guardian. May 13, 2015. Move Commission Records, Temple University, Philadelphia. 6200 Block of Osage Avenue, Philadelphia.